Welcome to the Metro Atlanta office of Rid-A-Critter, North Georgia's most well-established and best-equipped animal control and wildlife management company. We are a locally-owned business based right here in Georgia, and we employ local wildlife control professionals who live and work in the areas they service. Rid-A-Critter was founded back in 2001. Our goal was to bring a enlightened, scientific approach to professional nuisance wildlife control, and to deliver it with old-fashioned customer service and fanatical dedication to quality and customer service. At Rid-A-Critter, we strive to be the best at everything we do. We're not happy until you're happy. We're both proud and humbled to say that our efforts have paid off. In addition to being the biggest animal removal company in Atlanta, we've also earned the trust of our customers and the public. For example, we've earned the Better Business Bureau's highest rating, as well as the coveted TrustDale certification. We're grateful to you, our customers, for your loyalty and support throughout the years. This section of our site is customized for our Metro Atlanta customers and visitors, and concentrates on those critters most often encountered in and around the great city of Atlanta and its surrounding communities, including Buckhead, College Park, Conyers, Decatur, Lilburn, Lithonia, Mableton, Marietta, Sandy Springs, Smyrna, Stone Mountain, and Vinings, as well as many smaller towns and communities in the general vicinity of Atlanta. Why Choose Rid-A-Critter for your Wildlife Management Needs? There are many companies providing animal removal services in Atlanta and the surrounding communities, and we're well aware that you do have a choice and that we have to earn your business. Here are some reasons why we believe that we're your best choice for animal control in the Greater Atlanta area. Perhaps most importantly, Rid-A-Critter is a locally-owned company, not a franchise of some big company with headquarters elsewhere. When you choose us for your animal control needs, you have immediate access to an owner. We live here. We're your friends and neighbors. But just because we're local doesn't mean that we're small. Rid-A-Critter has the personnel, equipment, and resources to handle any animal control job -- from little cottages in the woods, to commercial and industrial buildings, power plants, malls, hospitals, schools, churches, and even airports. In addition, Rid-A-Critter guarantees your satisfaction. We have the best warranty in the business. Just ask any of our reps to go over it with you before you make your decision. If the animals come back during the warranty period, then so do we. Our warranty is also renewable and can be transferred to the new owner if you sell your home or commercial building. We also believe that businesses have a social responsibility to the communities in which we work. We support a wide variety of charitable and youth organizations, and we encourage our staff to take part in community and volunteer activities that make our communities better places. Finally, Rid-A-Critter believes in preserving our natural environment. Whenever possible, we perform our work without using any chemical pesticides at all, and we always use the most humane methods possible to achieve the desired goals. Please contact us for more information about how Rid-A-Critter can help you solve your animal removal and wildlife management problems. We look forward to hearing from you! Welcome to Rid-A-Critter, Northern Georgia's most well-established and best-equipped animal control and wildlife management company. We are a locally-owned business based right here in Georgia, and we employ local wildlife management professionals who live and work in the areas they service. Rid-A-Critter was founded back in 2001. Our goal was to bring a professional, enlightened, scientific approach to nuisance wildlife control, combined with old-fashioned customer service and fanatical dedication to quality and customer service. Long story short, at Rid-A-Critter, we strive to be the best at everything we do. We're not happy until you're happy. We're both proud and humbled to say that our efforts have paid off. Aside from being the biggest animal removal company in Atlanta, we've also earned the trust of our customers and the public. For example, we've earned the Better Business Bureau's highest rating, as well as the coveted TrustDale certification. We're grateful to you, our customers, for your loyalty and support. This mini-version of our site is customized for our Metro Atlanta customers and visitors, and concentrates on those critters most often encountered in and around the great city of Atlanta. Specifically, this means Atlanta and its surrounding communities of Buckhead, College Park, Conyers, Decatur, Lilburn, Lithonia, Mableton, Marietta, Sandy Springs, Smyrna, Stone Mountain, and Vinings, as well as smaller towns in that general area. There are many companies providing animal removal services in Atlanta and the surrounding communities, and we understand that you do have a choice and that we have to earn your business. Here are some reasons why we believe that we're your common-sense choice for animal control in the Greater Atlanta area. Rid-A-Critter is a locally-owned company, not a franchise of some big company with headquarters elsewhere. When you choose us for your animal control needs, you have immediate access to an owner. We live here. We're your friends and neighbors. But just because we're local doesn't mean that we're small. 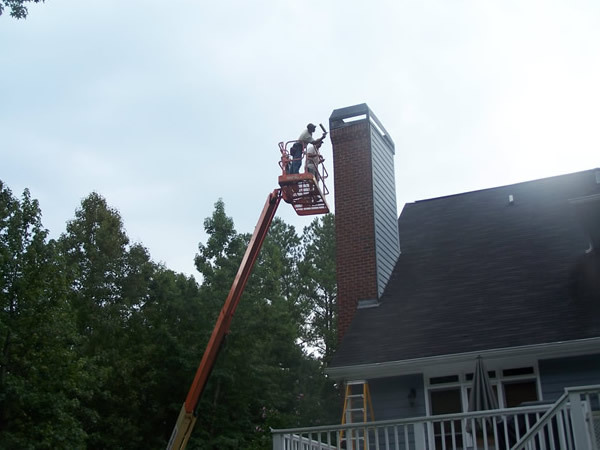 Rid-A-Critter has the personnel, equipment, and resources to handle any animal control job -- from little cottages in the woods, to commercial and industrial buildings, power plants, and even airports. In addition, Rid-A-Critter guarantees your satisfaction. We have the best warranty in the business. Just ask any of our reps to go over it with you before you make your decision. Finally, Rid-A-Critter believes in preserving our natural environment. Whenever possible, we perform our work without using any chemical pesticides, and we always use the most humane methods possible to achieve the desired goals. Apr 08, 2019 11:08:38 am. 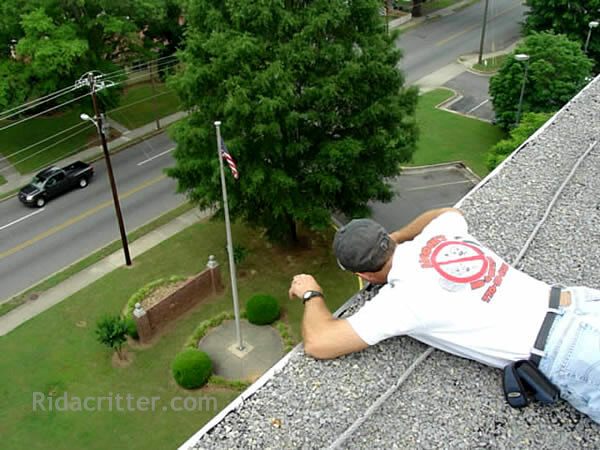 The Atlanta, Georgia office of Rid-A-Critter provides animal removal and animal damage repair in all of Metro Atlanta including the City of Atlanta and the communities of Berkeley Lake, Buckhead, College Park, Conyers, Decatur, Douglasville, Duluth, Fayetteville, Hull, Johns Creek, Lilburn, Lithonia, Loganville, Mableton, Marietta, McDonough, Newnan, Norcross, Peachtree City, Powder Springs, Sandy Springs, Smyrna, Stone Mountain, and Vinings.